Cambodia is a country in flux. Starting in the 1970s, war and genocide tore through the green rice fields and peaceful communities of this gentle Southeast Asian country. For decades, Cambodian people lived in fear, many fleeing the country and building new homes in Thailand, Australia, and the United States. But wars don’t last forever, and since the early 2000s, Cambodia has been rebuilding at a rapid pace. The citizens are working to create a new Cambodia, reborn from the ashes of violence. And this new Cambodia attracts a lot of travelers. In 2010, 2.5 million tourists came to Cambodia. By 2017, that number had jumped to 5.6 million. That’s a huge increase, and all these travelers are playing a big role in Cambodia’s economy by bringing in millions of dollars per year. But in a country that is still developing and recovering from decades of war, that money often does not get distributed equally, with a few elites getting most of the benefit. So how can you as a traveler make sure that the time and money spent in Cambodia helps to lift people up instead of keeping them down? The answer is found in sustainable tourism, the practice of creating tourist attractions and companies that are designed for long-term sustainability without harming the local community or natural environment. In the last decade, Southeast Asia has seen a huge rise in these types of initiative, but nowhere more so than the small and enchanting city of Battambang. 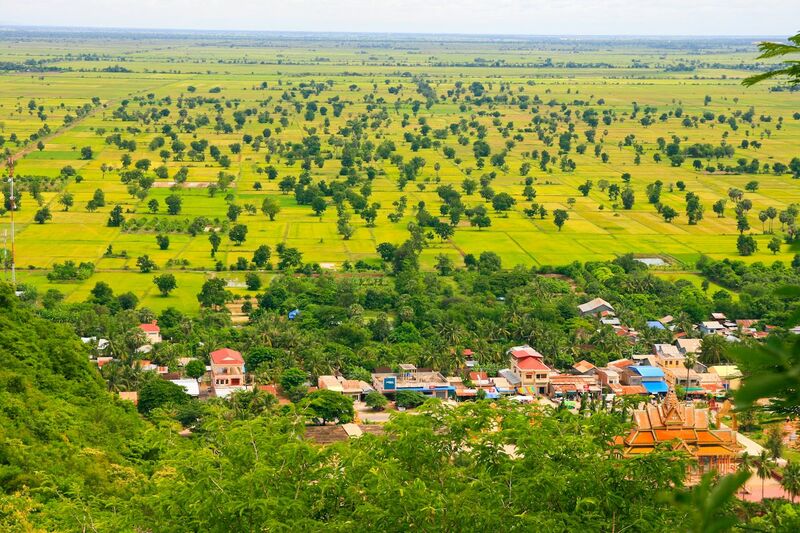 Battambang is located between Siem Reap and Phnom Penh, and though often skipped over by foreign visitors, it looms large in the hearts of Cambodians. 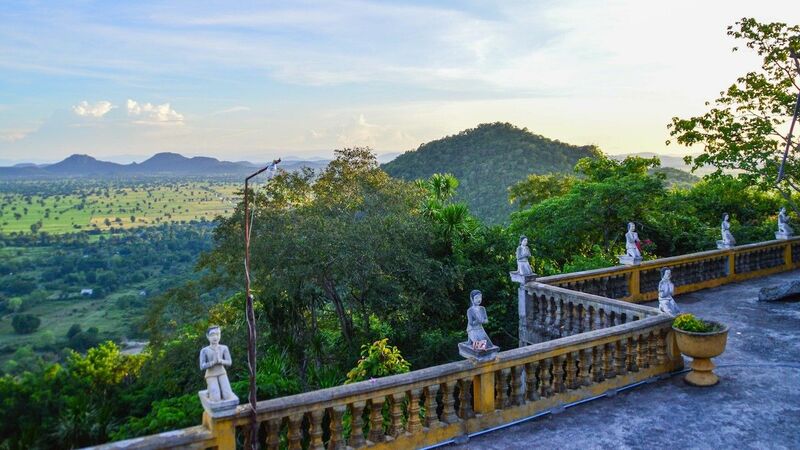 Spend a few days in Battambang and you’ll understand why it’s their most beloved city. For hundreds of years, Battambang has been the cultural center of Cambodia. This is clear from the many temples that dot the streets, the peaks of their pagodas pointing up between the palm trees. Mornings are filled with the sounds of temple bells and Buddhist chants as the mist clears over the bright green rice fields. Parades of orange-cloaked monks move through the streets in the soft dawn light, collecting alms and offering blessings. Women spread out blankets on the streets as the city comes to life, laying out their fruits and vegetables, preparing for a day in the markets. Songs from the 1960s sang sweet odes to Battambang’s verdant rice fields and beautiful people, but this culture of peace was nearly destroyed in the 1970s and ’80s. The Khmer Rouge swept through the city and systematically killed the teachers, artists, writers, and musicians. Everyone else was forced to leave, with many fleeing to Thailand where they lived as refugees for decades. Battambang sat empty and forgotten, its temples filled only with ghosts. But when the war finally ended and the Cambodian refugees returned, they created schools and nonprofits as social organizations determined to repair what was broken and rebuild their cultural heritage. It is these organizations, born from the dust of the genocide, that lead the sustainable tourism movement in Battambang today. They are creating a city where travelers can immerse themselves in local culture and discover what life is really like in Cambodia without being exploitative. With the help of these social enterprises, you can share authentic experiences that are helping to lift up the locals of Battambang. Here are a few of the sustainable, culturally responsible experiences you can partake in. No visit to Battambang is complete without a visit to Phare, Cambodia’s premier visual and performing arts school. Phare Ponleu Selpak (PPS), or Phare for short, began in a refugee camp in Thailand in the mid-1980s when a few young Cambodians took drawing classes in the camp. During these sessions, they discovered the power of art to help them heal from their trauma. Those same refugees later returned to Battambang with a dream of building an art school. Today, Phare houses a visual and performing art school that instructs local children on everything from graphic design to music and circus. The programs at Phare offer access to arts education and hope for a brighter future to the children of Battambang. 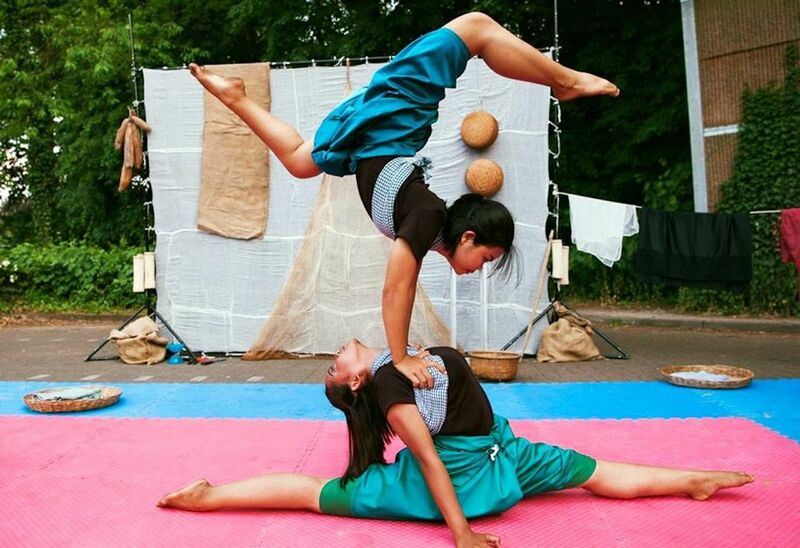 The school hosts circus shows under the big top several nights a week, during which travelers can sit side by side with local Cambodians to watch the young circus students juggle, balance, and complete incredible acrobatic feats. In one act, a young girl hangs from the silks, contorting herself into impossible shapes as several young men dance across the stage below her, throwing themselves in the air completing backflip after backflip. The shows are powerfully high energy and performed with live music played on stage by students of the program. They perform with such enthusiasm that even the most cold-hearted tourist will be swept up in the emotion of the night. Proceeds from the circus shows go directly back to Phare, helping to fund the continued artistic education of Cambodian children from around Battambang. The cost of a ticket to see one of the most inspirational circus shows around helps send disadvantaged kids to Phare where they can learn graphic design, animation, art, circus, music, dance, or theatre. 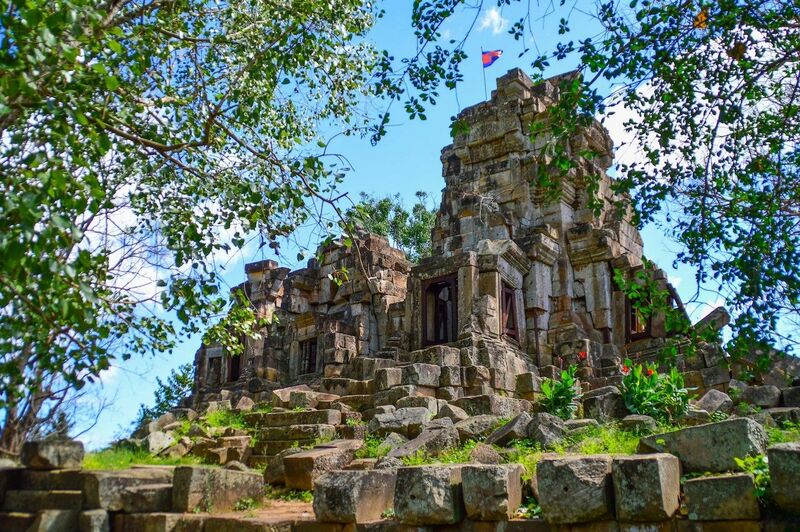 Take a countryside tour of Cambodia with Soksabike. 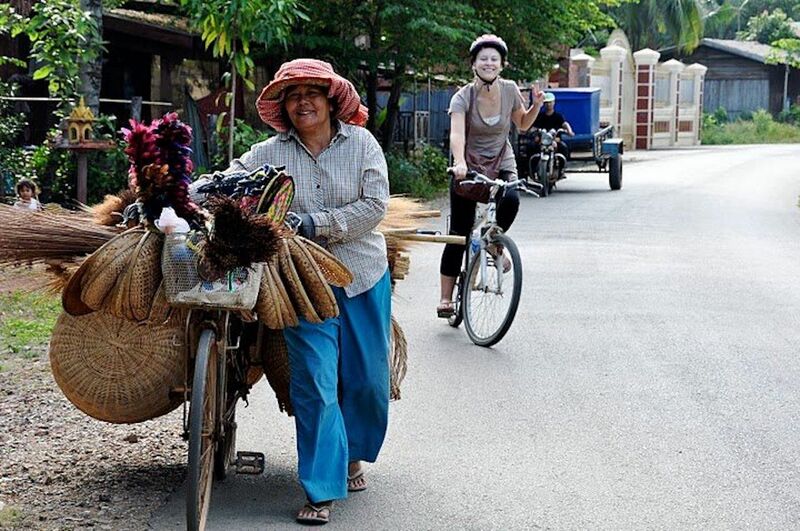 Imagine riding a bike through the lush Cambodian countryside. Bright green rice fields stretch away from you in all directions as you pedal along the smooth dirt road. Up ahead, a grove of palm trees bends over the road, offering shade and a chance to get out of the heat. You come to a stop. A woman is seated there under the trees, selling rice cooked in coconut milk. She offers you some, and you take a bite — rich, chewy, and delicious. The smell of the coconuts mixes with the rich scent of the rice fields and you realize that this is, by far, the best day of your trip. That’s only a glimpse of what you’ll find on a tour with Soksabike. This social enterprise gives travelers the chance to go for long bike rides through the countryside with a local guide. The guides are college students from Battambang who are passionate about showing you what daily life is like in their country through a variety of stops along the way. You can visit a family that makes rice paper by hand or visit a man who builds and plays traditional Khmer string instruments. You get to speak with the locals, ask them questions, and learn about their lives. Your guides are your translators, sharing insights into Cambodian life that you won’t find anywhere else. The money you pay for the tour gets redistributed evenly, shared between Soksabike operational costs, the tour guides’ salaries, and the families who participate in the tour. The result is a bike tour and profit sharing, the truest form of sustainable tourism. Soksabike was originally started by an Australian couple who had the idea of empowering young Cambodians by teaching them to be tour guides. But as of 2017, the company has been handed over completely to several of the most senior guides. Today, it is Cambodian owned and operated, giving travelers the opportunity to spend a day hanging out with a local Cambodian. Enjoy a meal with social Impact at Jaan Bai. 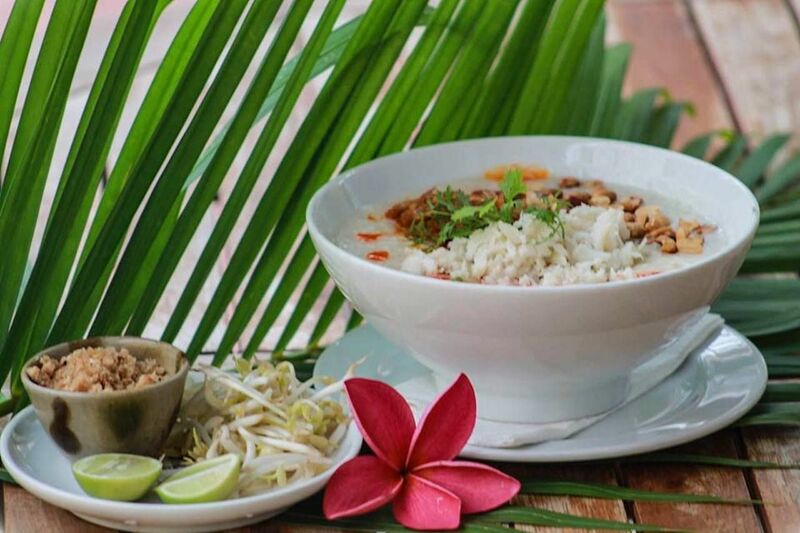 Not only does Jaan Bai offer five-star gourmet Khmer and Thai food, but it’s also owned by a non-profit with the goal of giving back to the community. This restaurant is the result of a partnership between Chef David Thompson and restaurateur John Fink and is owned and operated by the non-profit organization Cambodian Children’s Trust (CCT). Jaan Bai serves as a hospitality training program, teaching young Cambodians valuable skills that can help them land lucrative jobs in Cambodia’s growing tourism industry. The restaurant itself is sleek and modern, offering a fresh take on traditional Khmer food in a minimalist setting. For dinner, you can taste a traditional Khmer amok, a rich curry of fish wrapped in a decadent blend of Cambodian herbs and spices simmered to perfection. Or you can sample a plate of Kampot green peppercorns cooked with tofu. You may think you know what peppercorn tastes like, but Cambodian green peppercorns are an entirely different experience. The taste is spicy yet green and wild all at once. The entire menu is an homage to the traditional flavors of Cambodia and Thailand, served with love by young Cambodians with big dreams. Jaan Bai is also one of the best restaurants in Battambang if not all of Cambodia. And the fact that your meal also helps empower local youth and support children’s rights is the drizzle of sweet coconut milk on top of your sticky rice. Social impact tourism may be what Southeast Asia needs to survive over-tourism. These are just a few examples of the many organizations and individuals that are bringing sustainable tourism to Battambang. If you spend a few days exploring the streets and shops of Battambang, you will quickly find countless opportunities to give back to and connect with the local community. Visit one of the many art galleries around town to see paintings and sculptures made by local artists, or take a tour with a tuk-tuk driver and get a one-on-one experience with someone who knows their way around the city better than anyone. Battambang is bursting at the seams with social enterprises that are striving to build a brighter future for the children of Cambodia. As Southeast Asia grows more popular among backpackers and travelers from all over the world, and destinations begin to suffer from over-tourism, the need for sustainable tourism only grows. Organizations and companies that focus on sustainable tourism can help prevent some of the damages that traditional tourism can bring to local communities and local environments. In Battambang, these social enterprises have helped empower youth, spread artistic education, and help young people find stable employment and lift themselves and their families out of poverty. Other tourist destinations in Southeast Asia may be wise to look towards Battambang as a model for success.